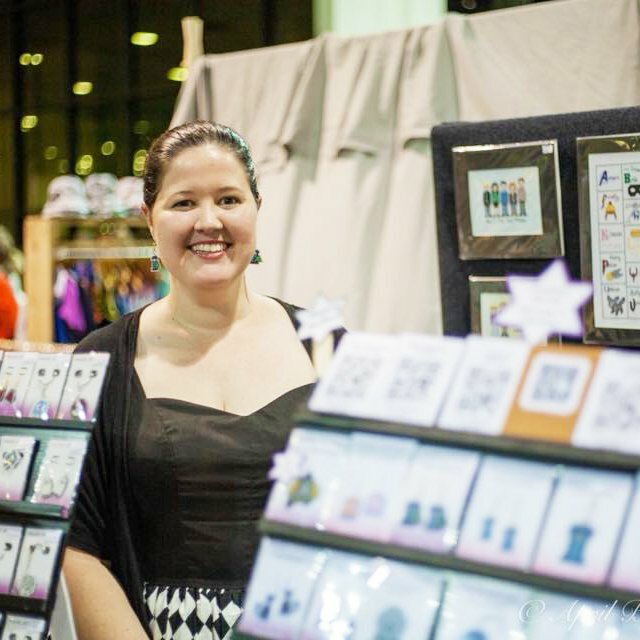 CraftAlive  is in  Canberra for 4 big days. A long time ago, in a galaxy (well, small town) far, far away in central Queensland, a 13 year-old girl learnt how to cross-stitch. 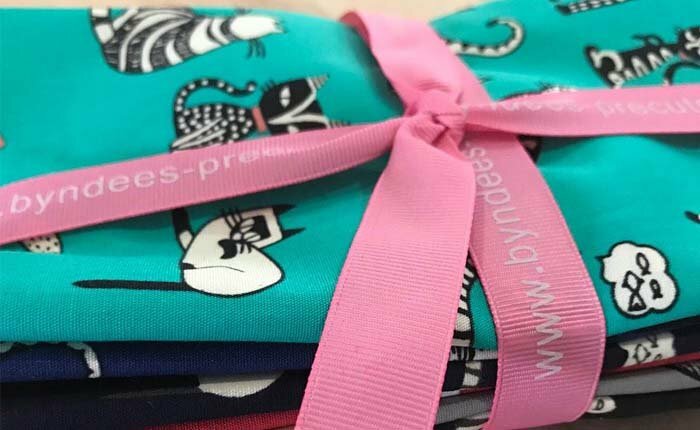 She quickly became obsessed, "borrowing" her mother's stitching supplies to create gifts for friends and family. 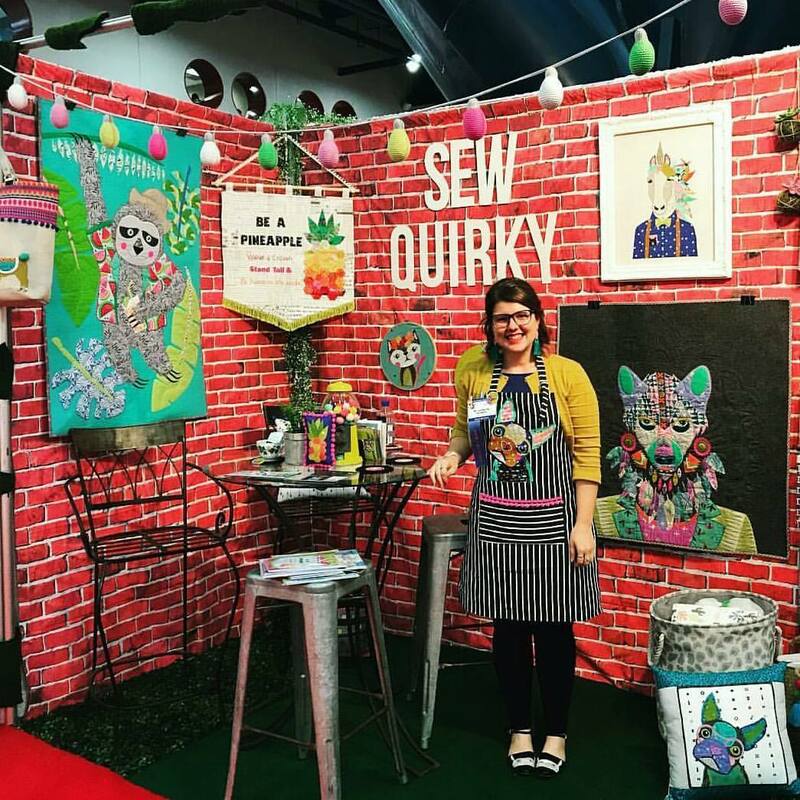 She started designing her own patterns when she struggled to find sci-fi projects she wanted to stitch: larger designs, kitch designs, designs that came together quickly yet still looked impressive. Then other people started saying they'd like to stich her patterns too, and thus Fangirl Stitches was born! Off-the-hoop cross stitch! Discover the joys of stitching plastic canvas and the colour changing threads as you make your own stitched accessories. Unlock the freedom of being abe to teach yoursel how to free-motion-quilt on your domestic sewing machine. You will learn how to have a great even stitches and create wonderful designs. No more pinning your layers. No more uneven stitches. No more sore shoulders or back. After this session you will be running home to get into quilting. Learn how to make stunning quilts using Pauline's essential secrets; add some amazing pizazz to your quilts. Quilt your blocks first! Who said we should quilt last? Learn to transform any sashed quilt pattern into a quilt-as-you-go, anyone can quilt a block. Having trouble cutting, sewing and achieving accurate points? Don't be put off, join this class to see how to overcome these challenges. Lots of great tips and tid-bits will be shared, like simple cutting tips, perfect triangles and blocks turning out the size they should with perfect points. Add some amazing pizazz to your pieced quilts using Pauline's amazing sashhing techniques. Find simple, effective ways to finish your unquilted quilt tops with ease using your domestic sewing machine using Pauline's unique Quilt-As-You-Go technique. Turn those ugly ducklings into beautiful swans. Learn how to make your own beautiful lampshade from a range of fabrics. At the end of the class you will have a finished lampshade ready to be hung or used on your favourite lamp stand. Come and get hands on with Eppiflex! Learn about this ingenius new and reusable product and how it will change the world of English Paper Piecing! Clamshells can be tricky to work with when you're an english paper piecer, but not now! Let Danni show you just how easy it can be with Eppiflex! 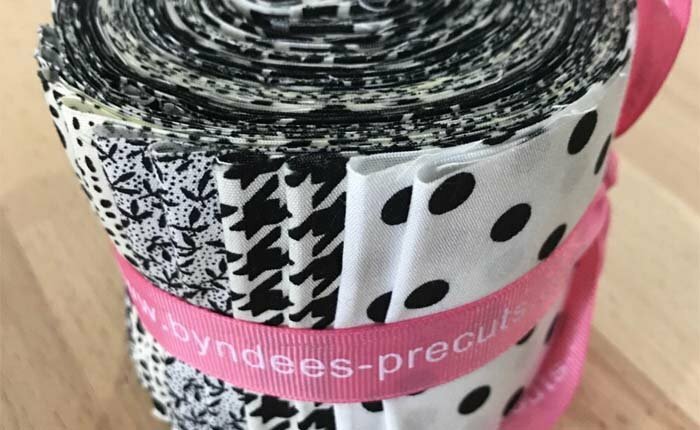 Learn how to fussy cut your fabric and get all the tips and tricks for amazing results with Danni! Become an English Paper Peicing extraordinaire! 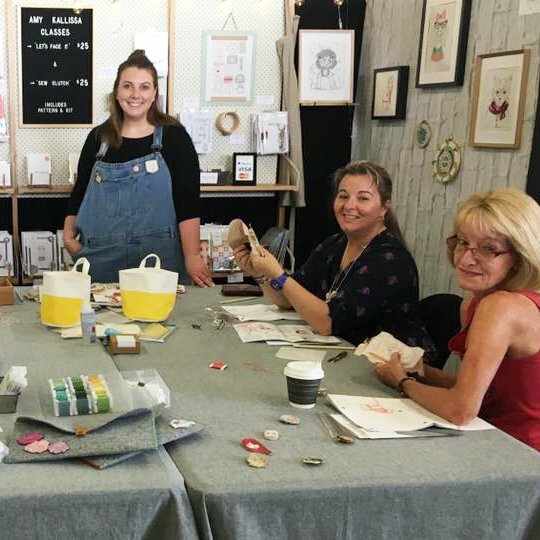 Danni will show you how to play with shapes and sizes and colours to form your own unique paper pieced designs! Choose to learn the basics of Embroidery as you create the stitches yourself. Walk away with the know how and supplies to master the stitches. A perfect class for a beginner or someone needing a refresher. OR Try your hand at Candlewicking where you will be given a ball of candlewicking cotton, a pattern, fabric, a needle, and extra fabric to practice stitches on. In this class you will be taught the stitches that are used for candlewicking and a little about how candlewicking first started. This class is suitable for people of all abilities, the only requirement is that students must be able to thread their own needle. Create glossy marbled backgrounds for cards, 3-D items and general crafting. Use alcohol pens and glossy paper. Complete 1 card in class and learn a variety of ways to use the samples you create. Each participant receives a free alcohol spritzer to take home and use plus additional glossy card stock. Make your own body and cleaning products using natural ingredients & essential oils. Come and explore to use of inks, paints, texture pastes and stencils in Papercraft and even fabric. Catchy Crafts will explore some of the latest tools and techniques in Papercraft. Check out the demonstrations on our products from the Grace Company – Hand Quilting Hoops and TrueCut Products. TrueCut is a unique new cutting system that stretches beyond the features of other leading brands and is the ultimate solution for common cutting frustrations. TrueCut provides an easier, safer and more accurate method of cutting. Stampin' Up! Makes it easy to coordinate colours in your creative projects ensuring beautiful results each time. Learn the how and why from one of our expert Independent Demonstrators. Creative uses for embossing folders. Learn some unusual techniques with embossing folders to add extra dimension to your crafting experience. Including my technique of stamping on the embossing folder. Learn various stamping techniques and colouring techniques to create three beautiful cards. Learn various stamping techniques and folding techniques to create three beautiful cards. Learn about the art of scrapbooking whilst creating a beautiful layout. In this class we will also cover die cutting, colouring and journaling techniques. Learn various stamping techniques and how to embellish with thread to create three beautiful cards. Learn our quick and easy method to make a shaker card plus create two more fun birthday cards using various stamping techniques. Learn various stamping, die cutting and colouring techniques to create three beautiful cards. Learn how to use stamps to create backgrounds, make titles and embellish your scrapbook pages. Complete a lovely family layout for an album or to display in your home. Come and learn the ins and outs of background stamping! In this class you will complete a scrapbook page and 2 cards using several different background stamping techniques. Come along and learn the different ways you can make use of your embossing folders! Create two cards and take home a technique sample ring. Make a lovely card with oxide inks background, archival ink stamping, metallic marker stamping & liquid pearls. A Guide to ease and tips and tricks for garment making! Make your machine applique pop! Flowers are the fundamental feature of many wool felt appliqué projects. Learn a number of different embroidery stitches used in constructing these flowers , and understand which different stitches are used to achieve amazing effects. New flowers and stitches will be taught in the class. Stitches, threads and needles used are all explained as you work. Pattern, kit, needles are provided in the class. Threads will be available for use in the class but not provided in the kit. Wool felt is used to make Christmas poinsettias which can then be used to embellish wall hangings, napkins, placemats or napkin holders. The different elements of the project are cut from the 100% wool felt, and embroidery stitches are used to embellish the wool felt. The elements can then be appliquéd onto the background to make festive seasonal projects. Pattern, kit, and a needle are provided in the class. Threads will be available for use in the class but not provided in the kit. Learn lots and lots of new stitches while constructing a really useful pin cushion. Pattern, kit of wool felt and needle will be provided in the class fee. Threads will be available for use in the class but not provided in the kit.